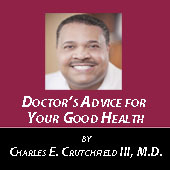 by Charles E. Crutchfield III, M.D. Kidney stones are small stone-like objects formed from the crystallization of dietary minerals found in the urine. Most kidney stones have calcium as a major component. One in 10 people will experience kidney stones in their lifetime. Four out of five people with kidney stones are men. Without preventive measures, 50 percent of patients who have kidney stones will experience another kidney stone within a 10-year period. Often times, kidney stones are painless; however, if they become a certain size (usually greater than one tenth of an inch in diameter), they can block urine flow, causing excruciating pain. 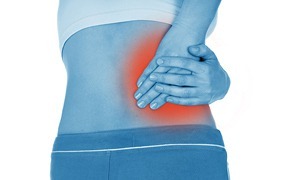 This pain usually occurs in the flanks and lower abdomen. It occurs in waves lasting 50-60 minutes. Patients with a kidney stone attack, in addition to excruciating pain, will experience nausea, vomiting, painful urination, and blood in the urine. If an infection is present, kidney stone sufferers can also experience fever and chills. Most kidney stones will pass in one to 14 days. The diagnosis of kidneys stones is determined by a physician in reviewing one’s medical history, urine and blood tests, and imaging studies such as a CT scan and/or ultrasound. • Drink plenty of water, at least eight to 10 cups per day. This is the most important and fundamental kidney stone prevention tip. By diluting your urine, you decrease the risk of forming kidney stones. • Limit the amount of meat you eat. It is advisable to consume less than six to eight ounces of meat daily. • Reduce your salt (sodium) intake. • Increase the amount of calcium in your diet. Even though calcium can be a component of the stones, taking calcium supplements with meals is an effective way of preventing stones. • Limit foods that can cause kidney stones, such as beets, peanuts, potatoes and chocolate. However, this type of reduction should be reviewed with your doctor before starting. Emerging research also indicates that high doses of Vitamin C can cause kidney stones. It is advisable to not supplement with anything more than 500mg of Vitamin C daily. There are also certain medications that can prevent future kidney stone formation and can be prescribed and supervised by your doctor. These include potassium citric, Allopurinol, and diuretics. When stones become large enough to cause extreme pain, passing of the stone can be very effective for relief. This can take anywhere from a few hours up to 14 days. If the stone is causing severe pain and not passing, shockwaves may be used to break up a larger stone into smaller pieces. Surgical intervention is always an option and may be required. If you have a history of kidney stones, the best way to prevent them is by drinking plenty of fluids. This includes eight to 10 glasses of water or other fluids daily. Limit your daily meat consumption. Meet with your doctor to develop a preventive treatment plan, including dietary recommendations, and to discuss medications to prevent the recurrence of kidney stones, especially based on the type of kidney stone you’ve had in the past. As always, make sure you have a yearly physical examination, or at the interval period your doctor recommends.